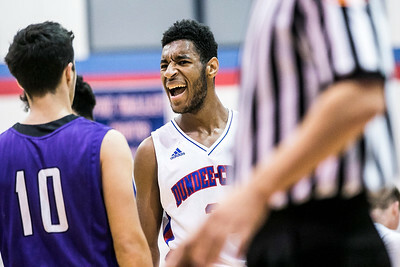 Sarah Nader- snader@shawmedia.com Dundee-Crown's Tariq Burns celebrates a point during the second quarter of Friday's game against Hampshire in Carpentersville Dec. 2, 2016. 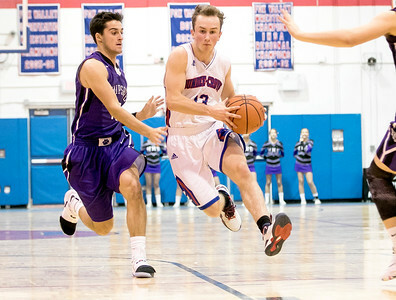 Dundee-Crown won, 57-49. Sarah Nader- snader@shawmedia.com Hampshire's Connor Burke (left) guards Dundee-Crown's Jack Orndahl while he dribbles towards the basket during the second quarter of Friday's game in Carpentersville Dec. 2, 2016. Dundee-Crown won, 57-49. 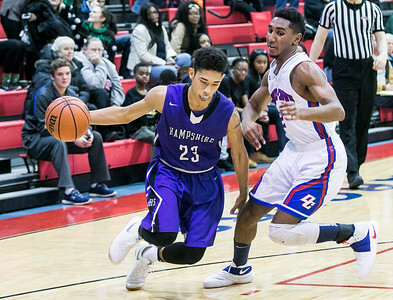 Sarah Nader- snader@shawmedia.com Dundee-Crown's Tariq Burns (right) shoots over Hampshire's Nathan Gomez during the third quarter of Friday's game in Carpentersville Dec. 2, 2016. 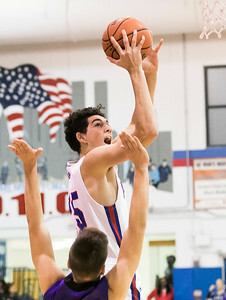 Dundee-Crown won, 57-49. 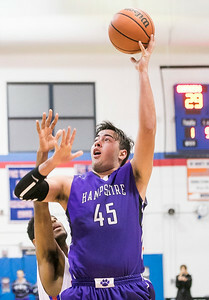 Sarah Nader- snader@shawmedia.com Hampshire's Nathan Gomez shoots a basket during the third quarter of Friday's game against Dundee-Crown in Carpentersville Dec. 2, 2016. Dundee-Crown won, 57-49. Sarah Nader- snader@shawmedia.com Dundee-Crown's Gabriel Bergeron shoots a basket during the first quarter of Friday's game against Hampshire in Carpentersville Dec. 2, 2016. Dundee-Crown won, 57-49. Sarah Nader- snader@shawmedia.com Hampshire's Frederick Powell dribbles past Dundee-Crown's Jermani Dal Santo during the third quarter of Friday's game in Carpentersville Dec. 2, 2016. Dundee-Crown won, 57-49. Sarah Nader- snader@shawmedia.com Dundee-Crown's Brett Buske (left) guards Hampshire's Frederick Powell while he shoots a basket during the third quarter of Friday's game in Carpentersville Dec. 2, 2016. Dundee-Crown won, 57-49. 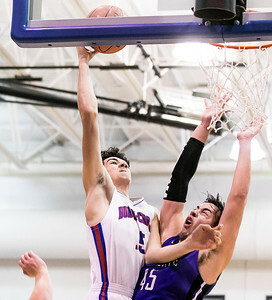 Sarah Nader- snader@shawmedia.com Dundee-Crown's Gabriel Bergeron (left) is fouled by Hampshire's Nathan Gomez while he shoots a basket during the second quarter of Friday's game in Carpentersville Dec. 2, 2016. 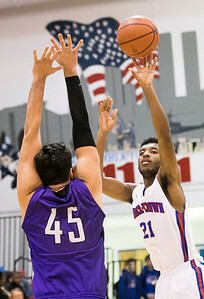 Dundee-Crown won, 57-49.